Or that seems to indicate certain rumors about it. According to the always reliable website SamMobile, the new Galaxy S8 may not include audio jack, as did Apple time ago when presenting the iPhone 7. After the explotion of Galaxy Note 7, the South Korean giant would be ready to announce its next high-end smartphone earlier than usual and with great news, in a presentation that could take place during the Mobile World Congress 2017 in Barcelona. Although there is still time to confirm that date as the official (the conferences are scheduled for the week from February 27 to March 2, 2017), rumors are beginning to circulate about the alleged technical characteristics of Galaxy S8. In recent times, in fact, rumors say that the new Samsung device may include some of the most appreciated specifications in the top-ranking smartphones of 2016, with some variations made by the brand. Among these rumors about the new Samsung cell phone, the one that is charging most has to do with a curved screen on all sides, which will include very small frames (or even no edges of any kind). A design that at first glance could bring to mind some of the most popular Chinese smartphones in recent weeks, with the Xiaomi Mi Mix being the most important. To meet the needs of users demanding large screens, the Galaxy S8 could come in two variants: 5.7 inches and 6.2. 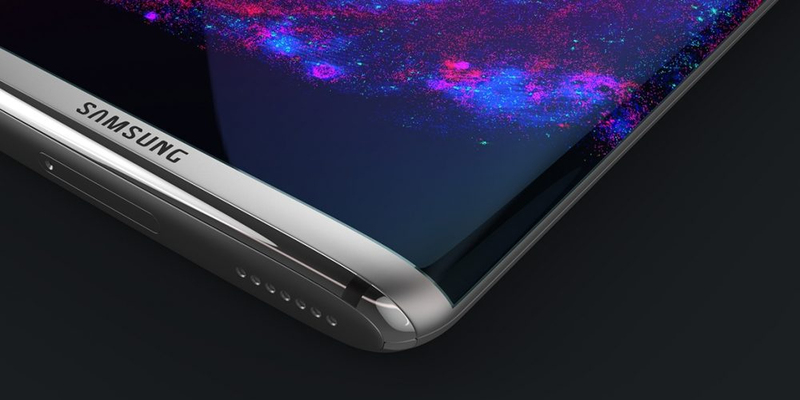 With a screen size over 6 inches, the Samsung Galaxy S8 would ultimately be a phablet, not a normal cell phone, although this is a mere matter of nomenclature. The fact is that Samsung could be interested in recovering its consumers, after the disappointment of Galaxy Note 7, and these two variants could help to achieve it. As for the resolution, everything points to a Quad HD display (2560 x 1440 pixels), although there are always those who bet on 4K resolutions. As we have already mentioned, Samsung would also be willing to abandon the 3.5mm audio jack, in favor of an easily accessible USB type C port and Bluetooth to connect the headphones. This change would give more space to increase the capacity of the battery in a chassis with more space for the insertion of hardware. Also interesting is the rumor that talks about the Harman sound system for the Galaxy S8 (since it is a company recently acquired by Samsung).